Stop Blushing! How I Cured My Blushing and Anxiety - You Can Too! Learn how to stop blushing. 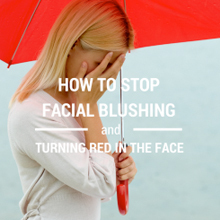 Learn about the causes and symptoms of facial blushing and turning red. Find out what works to end blushing, and resolve the social anxiety that often goes with blushing. I used to suffer terribly with both social anxiety and blushing from the age of middle school, all the way up into my late forties. It had a major impact on my life and held me back in many ways. Now that I fully understand the causes of blushing and know how to stop blushing and resolve social anxiety, I am very passionate to help people of all ages resolve their issues around blushing, social anxiety, fears and phobias, and all anxiety related issues. You are never too young or too old to resolve this issue! In school I hated being called on in class, I would avoid it in all ways possible. And later in life I hated any group situations where they went around and we had to say our names and what we do or why we were attending. I would get super anxious, sweat and turn red. I did not want the attention or people looking at me. This went on for years even as an adult. I would avoid as many social situations as possible. It destroyed both my social and career life. Blushing and social anxiety rarely happens now, and if it does it is minor. After 30 years or more of suffering, I totally get how it feels when clients first come to me and speak of their frustration, desperation, shame and embarrassment. Today social anxiety and blushing no longer hold me back from living life fully. And I want to do the same for you. Medication may mask your symptoms of anxiety and blushing but it won’t cure them. Let’s begin with what is not a good idea to stop blushing permanently. 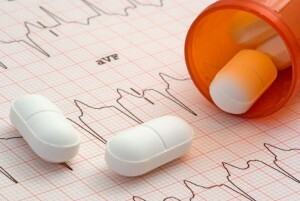 Medications are rarely a good answer and can complicate and deepen the issue. Personally, I would avoid medications if you can. You also want to avoid self-medicating with drugs or alcohol. Cannabis and other drugs will simply suppress the issue and actually make it worse in the long run, causing further imbalances in the brain, hormones and neurotransmitters. Medication may help some, but it does not cure blushing, nor end the causes of crippling shame, embarrassment, lack of self-confidence, fear and anxiety behind it. You also don’t want surgery. Destroying the capillaries or nerves in your face to diminish blushing or sweating is a medical procedure you want to avoid. I have had clients who have tried these methods and were very unhappy they did. As with medication, surgery is not the answer. Let’s face it, avoiding it, trying to forget about it does not work either. Nor does will-power. You can’t force it to stop. Nor does countless relaxation methods, affirmations and stress management skills by themselves. Nor do just mental and cognitive approaches like CBT, DBT, hypnosis and other similar methods work very well either. Some of these things may help some, but not completely. I know, because I have tried all these things and so many more, and so have the clients that come to me frustrated that nothing is working. How to Stop Facial Blushing and Change Your Life! Imagine being at ease in any social situation. I never used any medications or surgery, though I have tried just about everything else, including herbal medicines, nutrition, diet and other natural solutions. I have experienced and I am trained in many forms of psychotherapy, coaching, stress management skills and mindfulness methods. At this point I know what works and what doesn’t to stop blushing and anxiety. It is important to match the best methods with each individual client, and it is often necessary to change or tailor the particular method when working with individuals in order to be successful. There is not a one-way cookie cutter approach that works on everyone. The skills and experience of the particular therapist is more important than the method. The way I work with each client can be very different. Though the results are very similar: My clients stop being overly anxious, they stop blushing, the sweating stops, they are able to rest and sleep deeply, their health improves; their relationships, schoolwork, careers, and success in all areas of their lives improve; their self confidence goes way up. I will never push you faster than you are ready to go. I do not do ‘exposure therapy’. By meeting in-person, by phone or video, and discussing your individual situation, we will discover the best way that will work for you. I used to blush daily all the time. It was a horrible way to live, I missed out on a lot of life because of it. I suffered from terrible social anxiety and PTSD as well. Those days are gone, thank God. I was determined to be fully healed. And I am. If you suffer from any of these issues, please call me. I want to help you and I can. Why keep suffering in silence? I understand if other methods or therapists did not help you much. I experienced that problem as well. That is why I set my mind on figuring out what works to stop blushing and put an end to social anxiety. I have helped many people. I know I can help you. 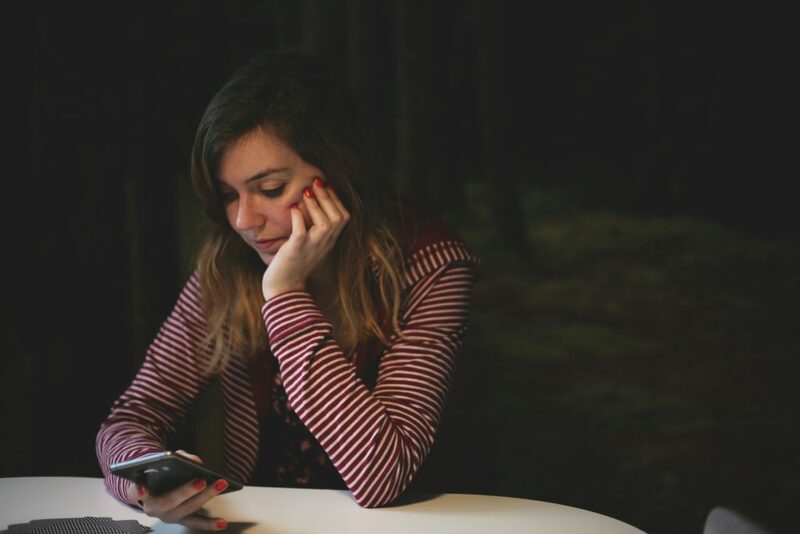 I can help you in-person here in Boulder, CO, or by phone, Zoom, FaceTime or Skype from the comfort of your home or office. My clients see me either in-person here in Boulder, Colorado, or I work just as easily by phone, FaceTime, Zoom or Skype with people all over the world. It is my passion and joy to see people become free of these issues, become successful in love, life, career and business, and fulfill their personal goals and dreams. To find out how I can help you, simply set up a free consult contact me. If you blush, you want to read this post! Anxiety disorders, symptoms and treatments.